On Average Asset Management Software Buyers take 5 to 11 hours to research software tools. Multiple options with every vendor claiming to have the best product makes it long and complex to buy a new asset system. 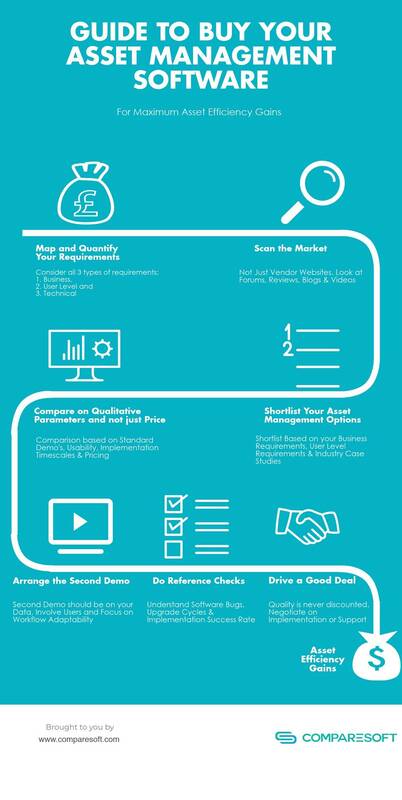 Buyer’s guide presented on Infographic below is designed to recommend a proven framework to compare, review and buy any type of Asset (Fixed, IT, EAM) Software.